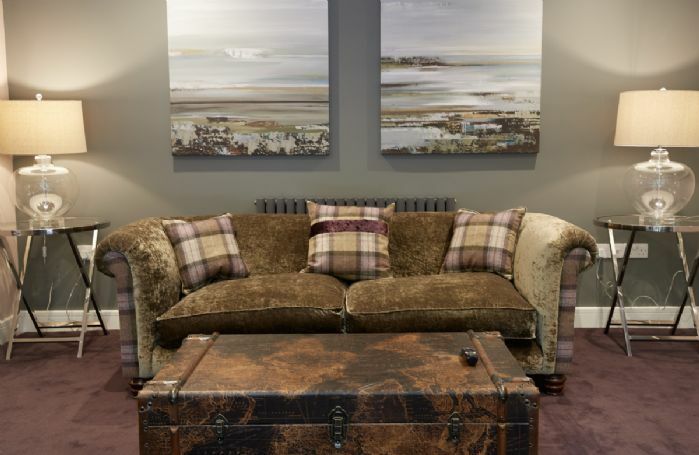 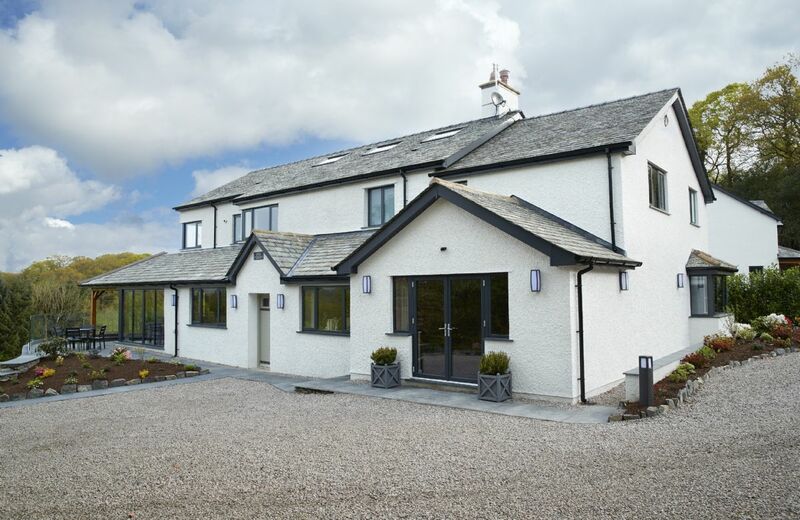 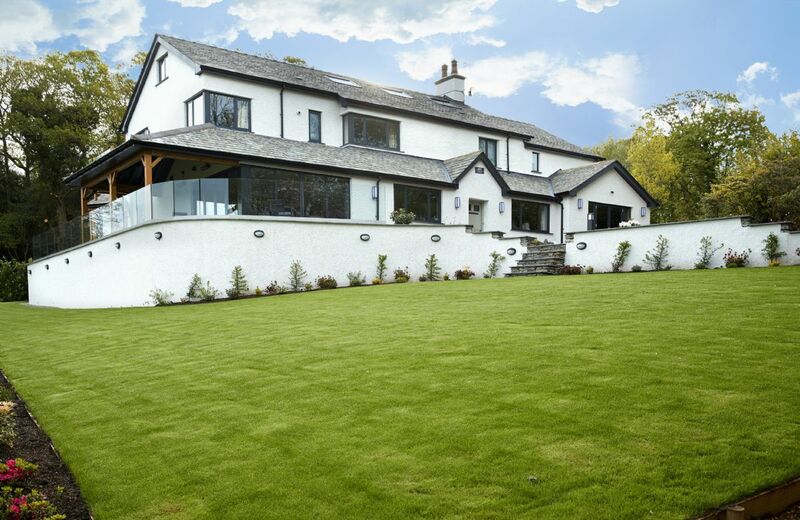 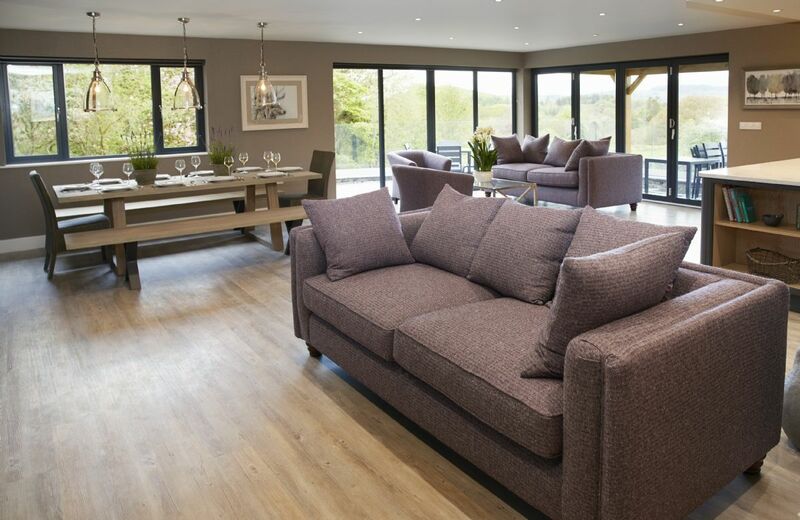 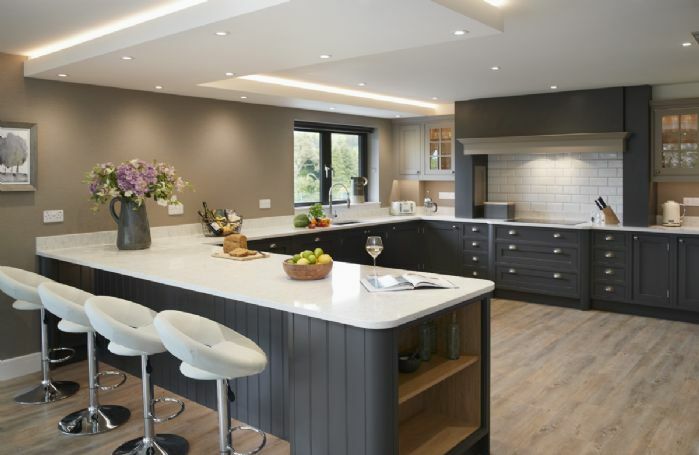 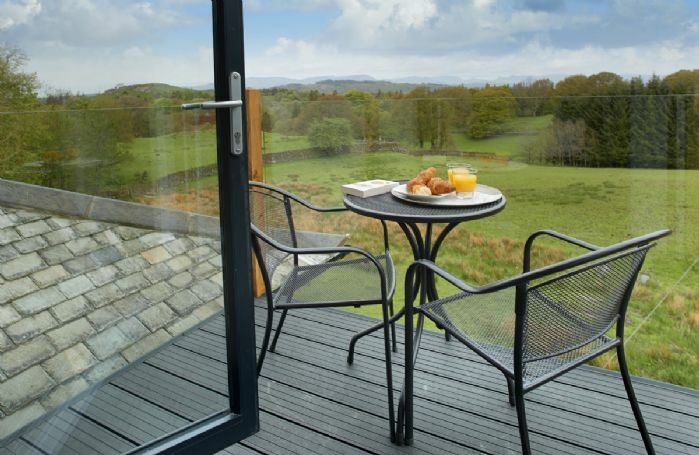 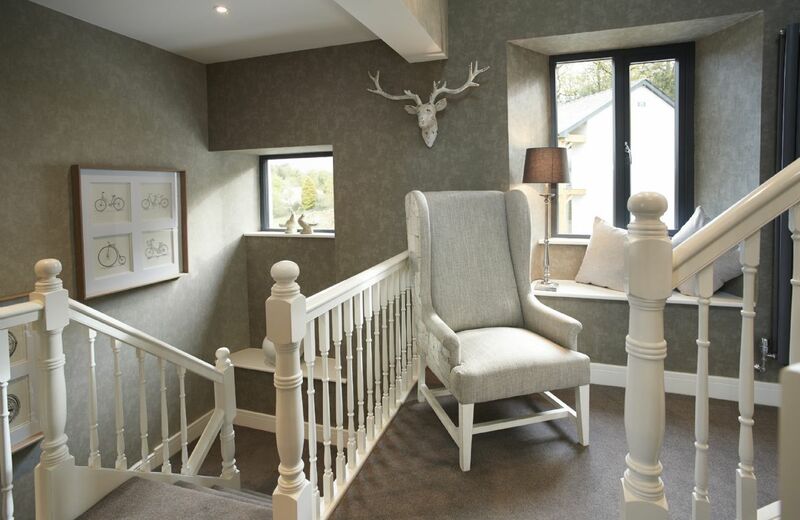 This substantial holiday home is more than a cottage, Cleabarrow Cottage is a stunning, fully renovated and extended Lakeland property accommodating 12 guests and provides a hot-tub to make the most of the magnificent views across the Windermere Fells and beyond. 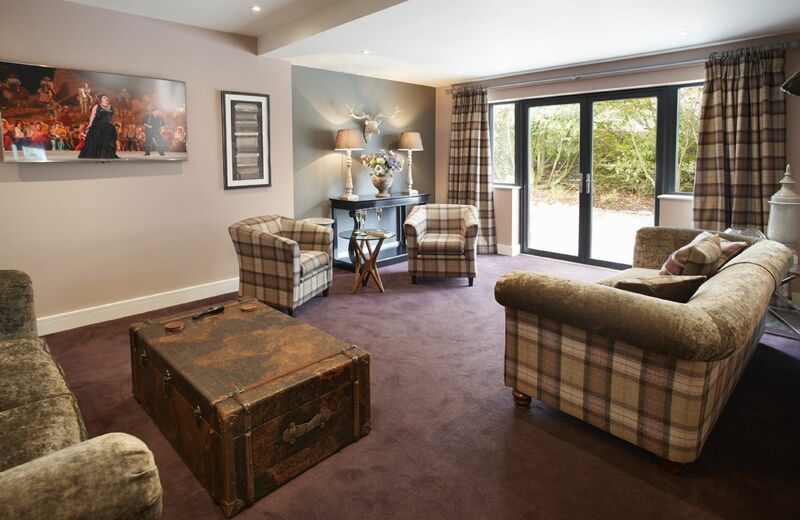 Beautifully designed and decorated, offering a spacious and comfortable holiday home with a luxurious touch. 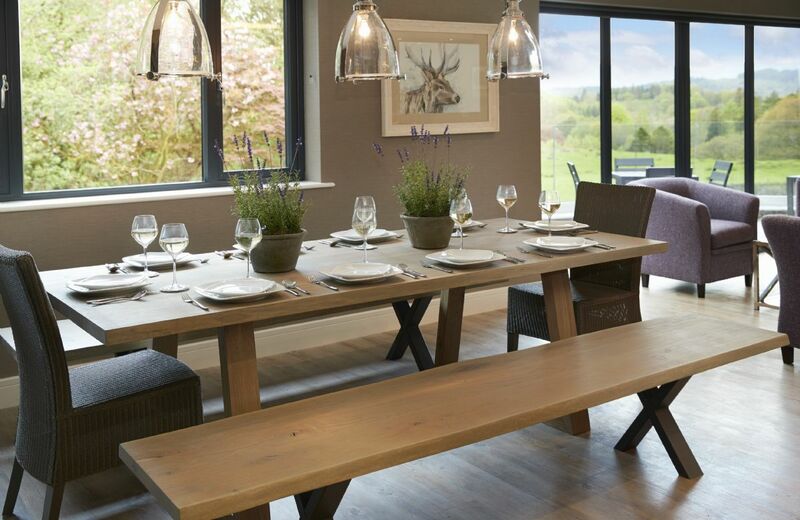 The generous accommodation is perfect for a large family gathering in this wonderful Area of Outstanding Natural Beauty. 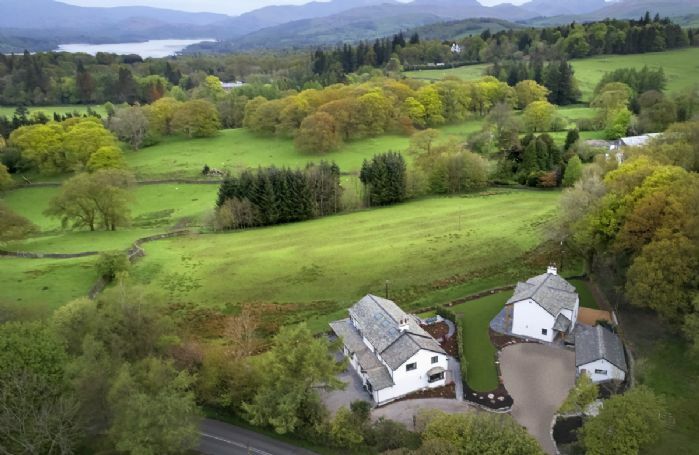 Situated just two miles from the popular destinations of both Bowness and Windermere, Cleabarrow Cottage sits in open countryside opposite the Windermere Golf Club. Six double bedrooms, all with 6’ beds, 3 of which are zip and link and can be made up as twin beds on request. 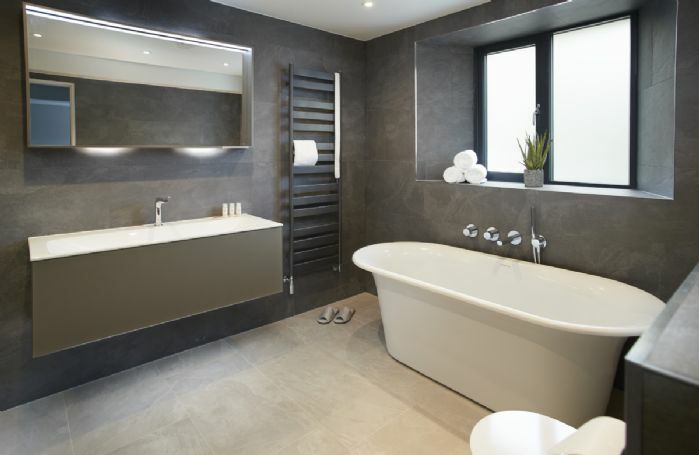 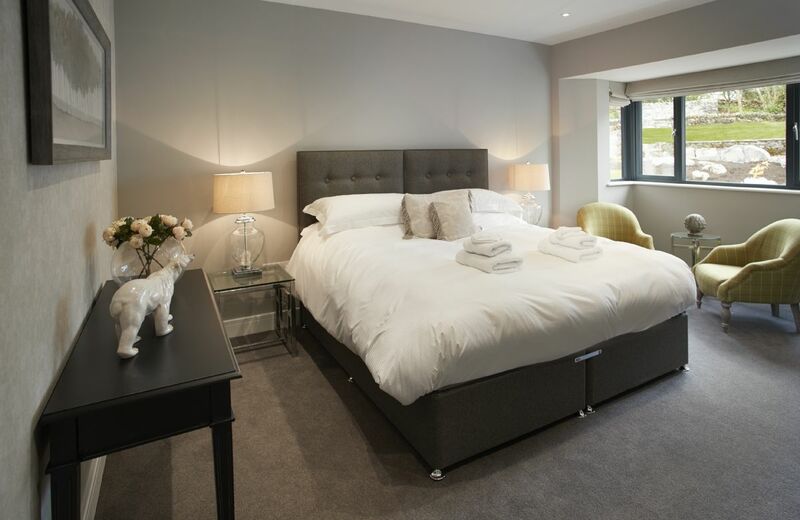 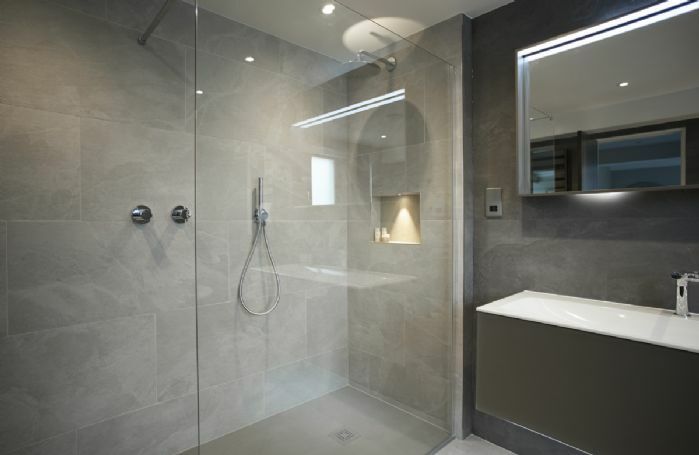 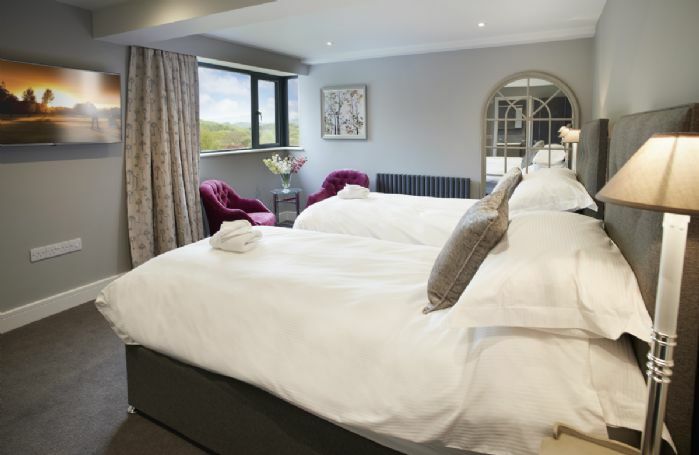 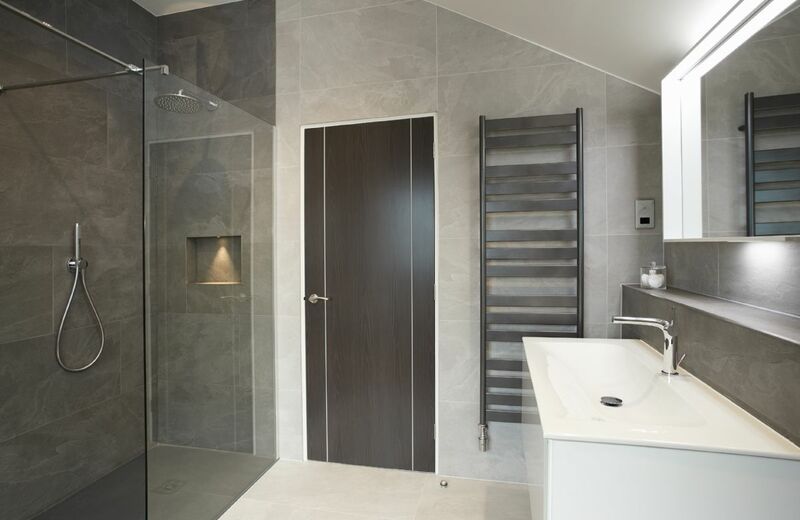 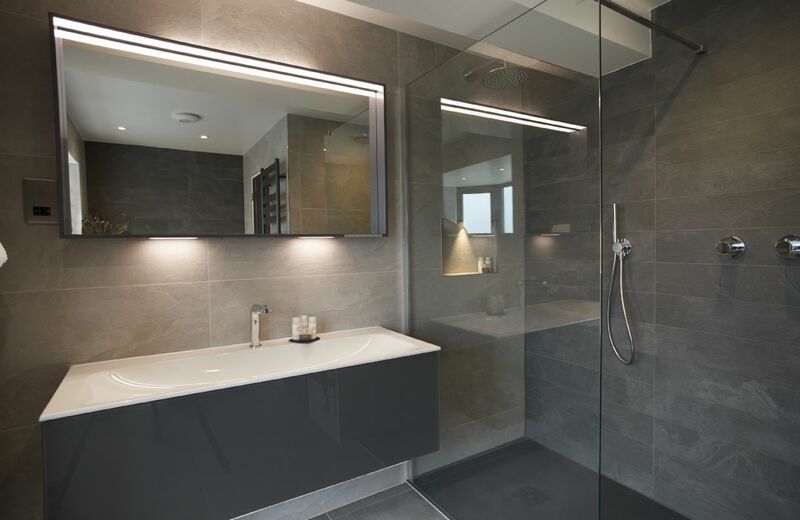 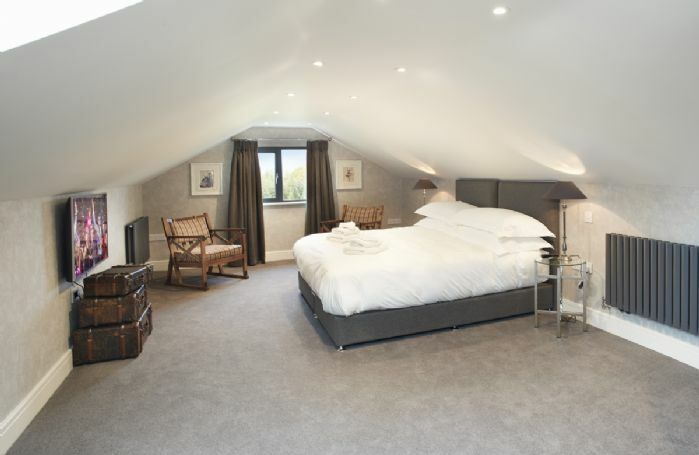 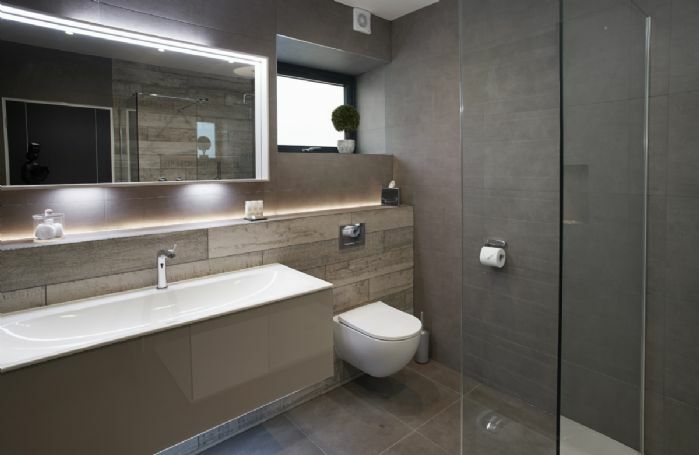 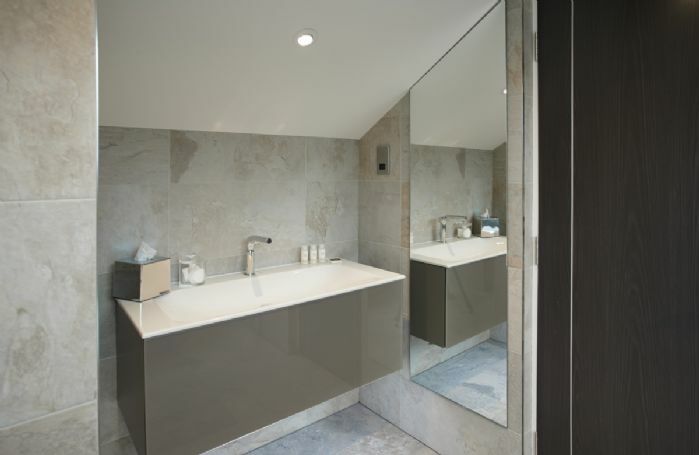 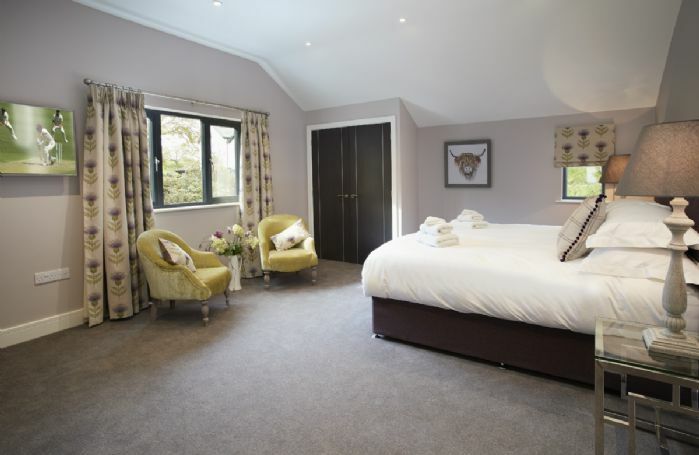 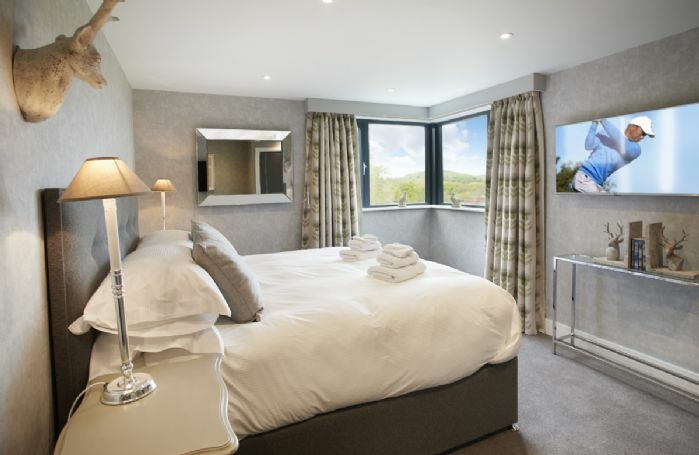 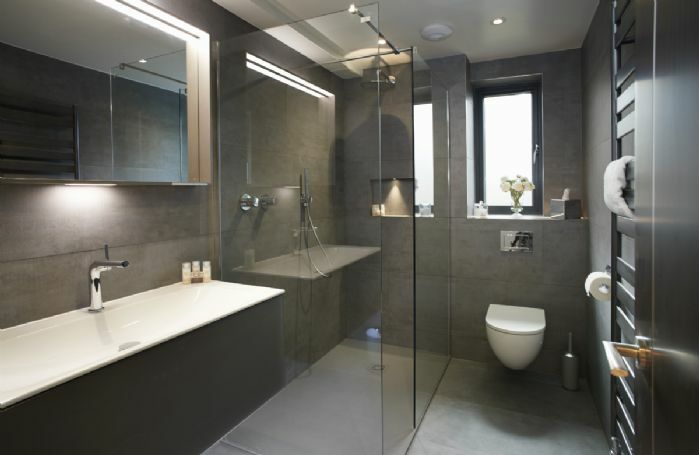 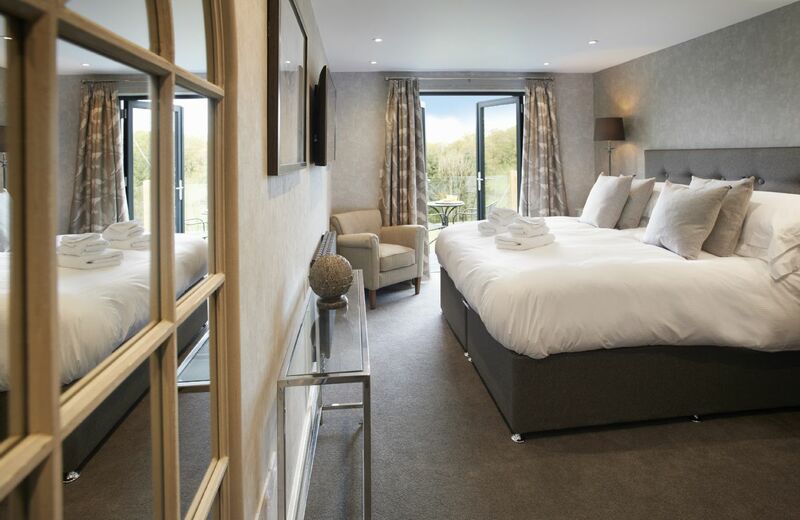 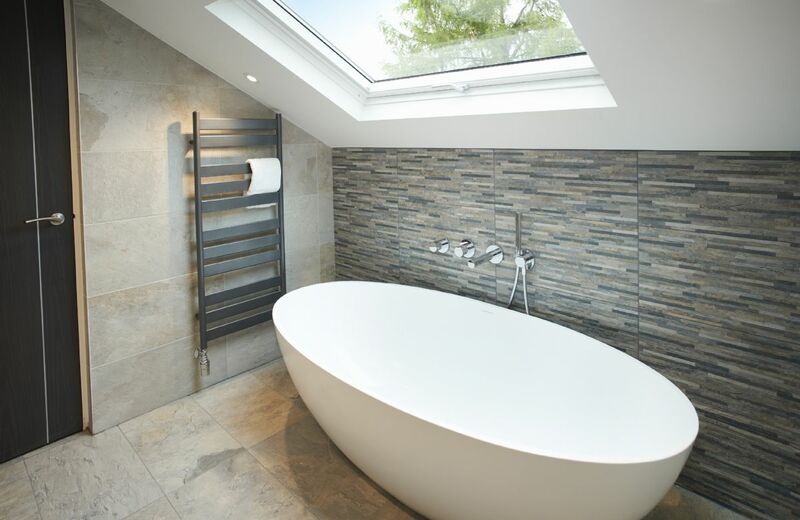 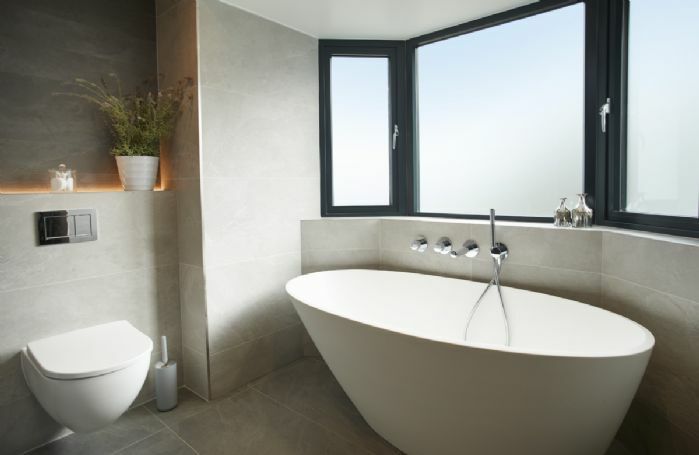 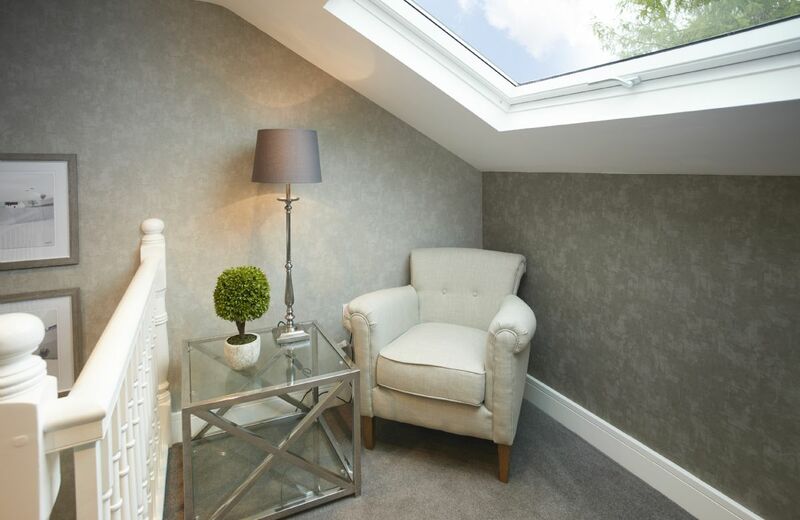 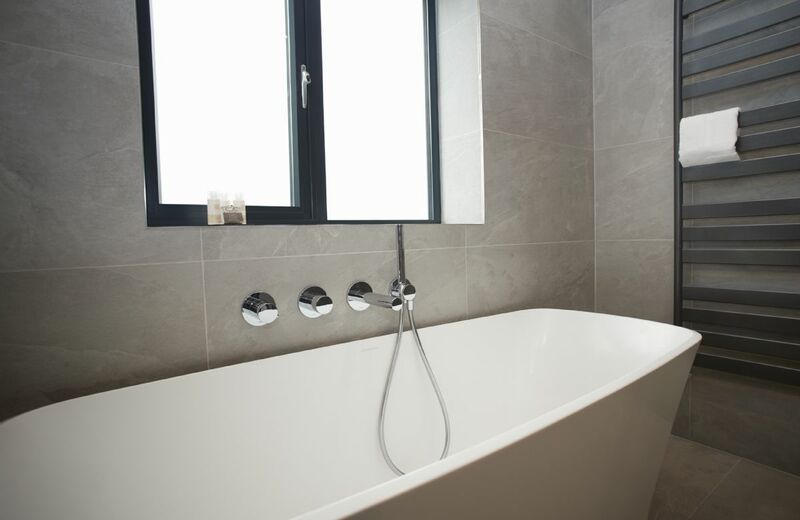 En-suite bath/shower rooms to all six bedrooms. 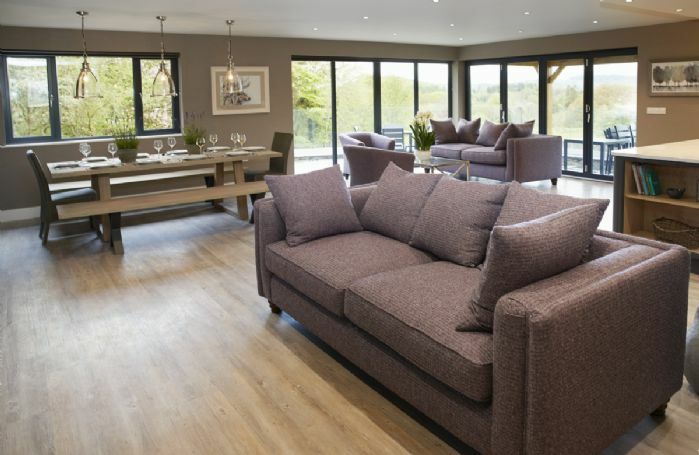 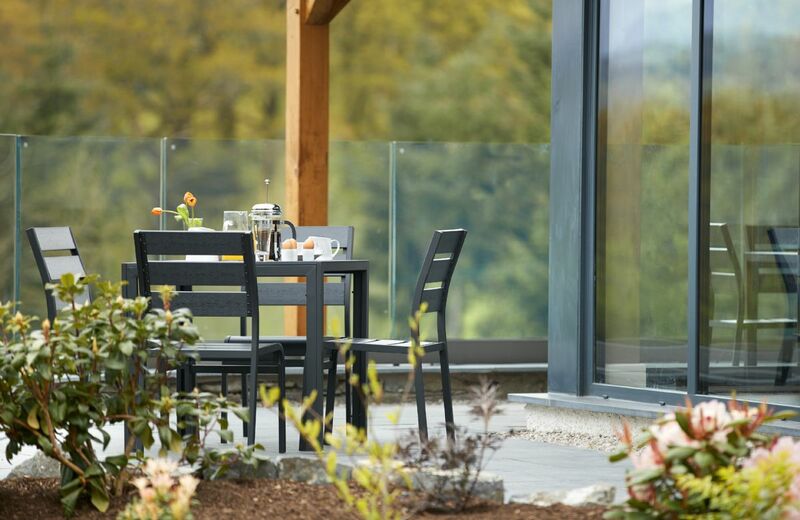 Landscaped, terraced gardens and a wraparound terrace with stunning views. Magnificent views on the Windermere Fells and beyond. Additional private outdoor seating area with hot tub. Electric combi microwave/oven and separate electric hob. 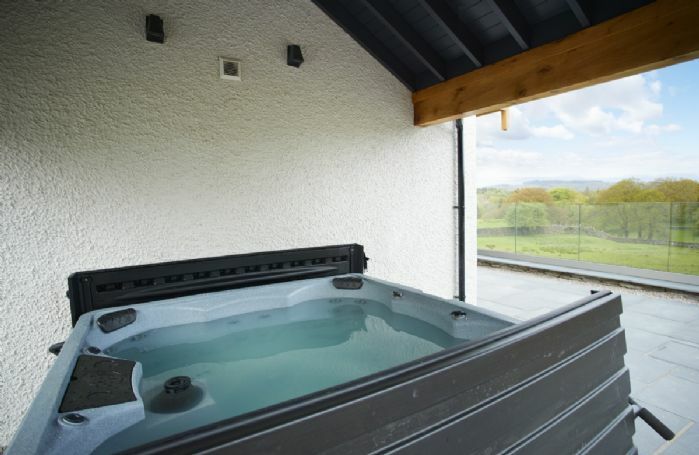 Wine cooler, large fridge and separate large freezer, dishwasher, washing machine and tumble dryer. 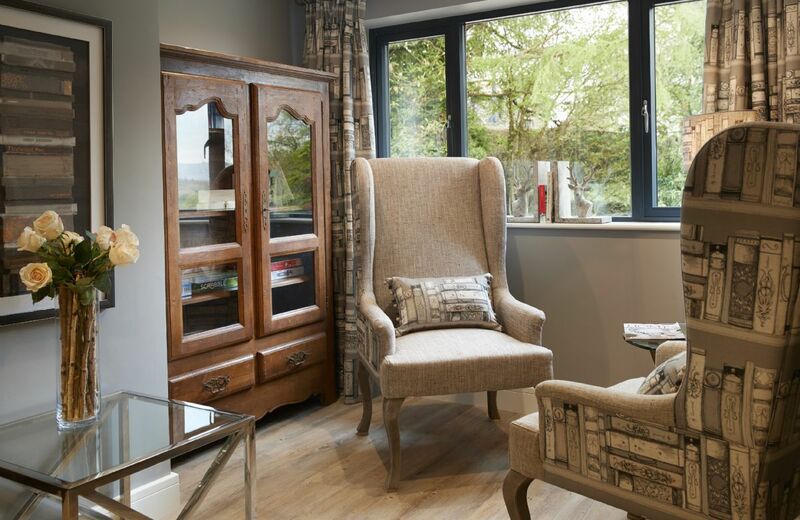 Televisions in the day room, sitting room and all bedrooms. 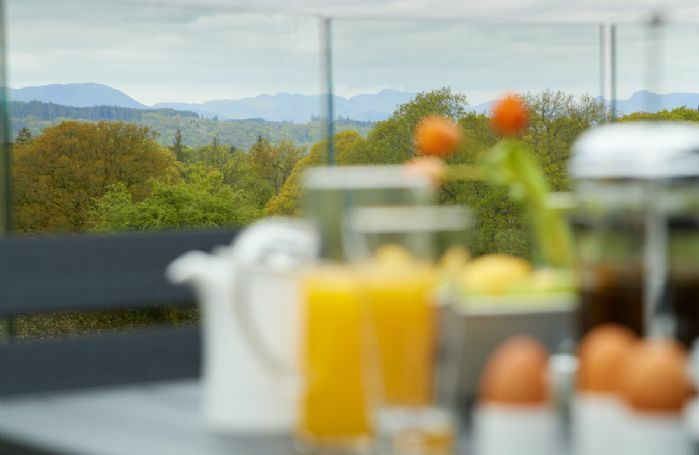 Reduced green fees are given to guests at both Carus Green Golf Club, a stunning 18 hole championship golf course, and at Windermere Golf Club, a challenging course which offers spectacular views of the Lake and fells, and is situated opposite to Cleabarrow Cottage. 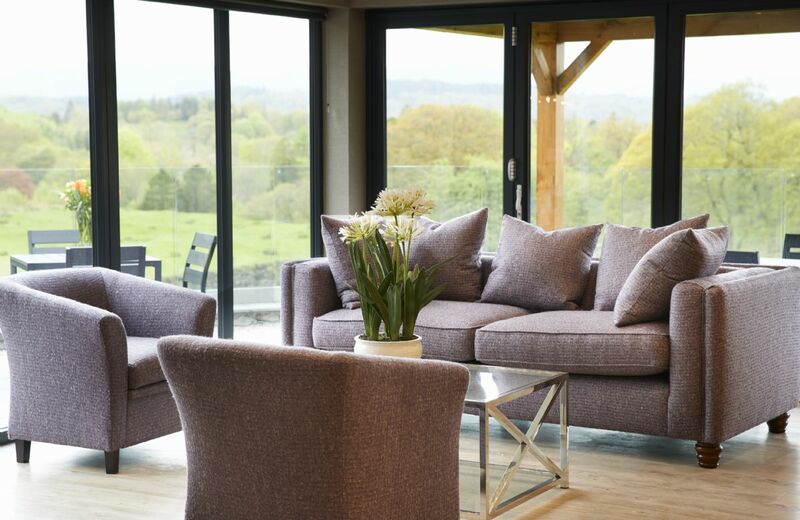 Book onto one of the daily tours at the Hawkshead Brewery and sample the locally produced beer. 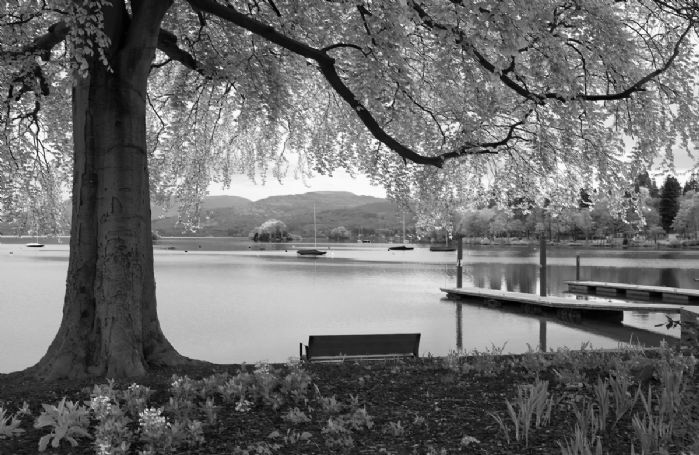 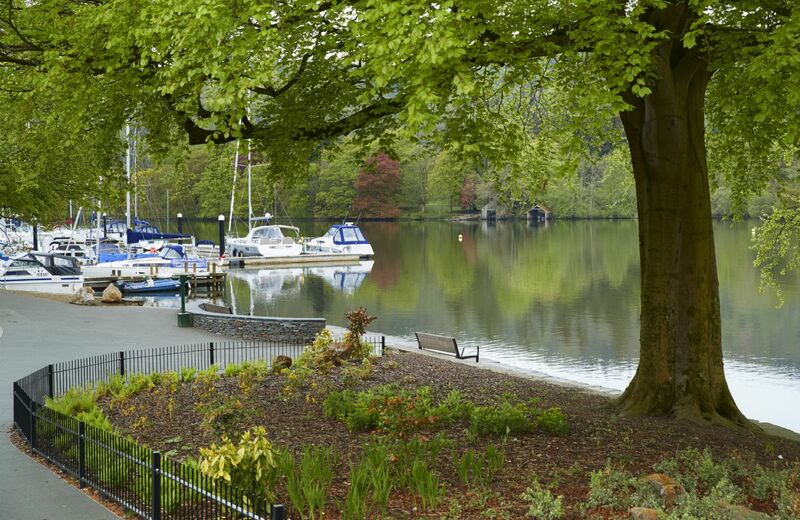 Visit the “unreserved” Nature Reserve of Brockhole and their famous floating village and restaurant. 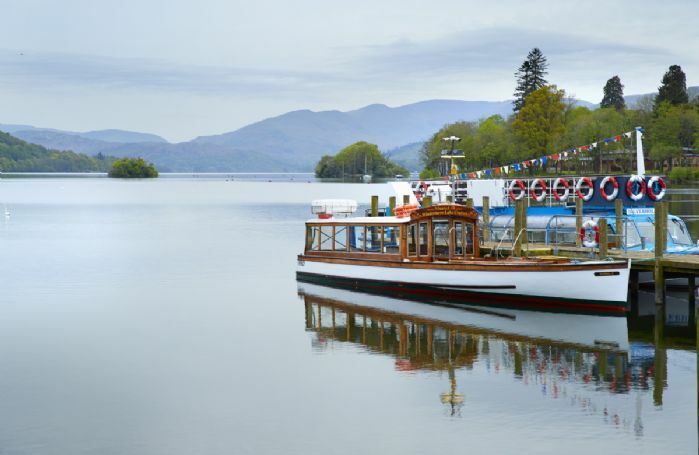 Enjoy a leisurely cruise along Lake Windermere, England’s largest lake with Windermere Lake Cruises. 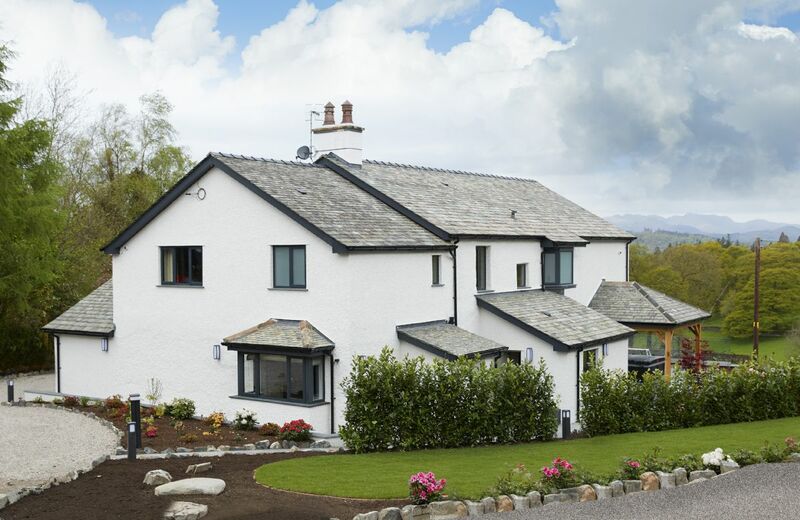 Take on the summit of the Old Man of Coniston, the fell is 2,634 feet (803 m) high with plenty of well-marked paths to the top. Visit Peter Rabbit, Benjamin Bunny, Mr. McGregor and the many, many more wonderful characters created by Beatrix Potter and inspired by the beautiful landscape at Beatrix Potter World. The National Trust run Sizergh Castle has a stunning house and gardens to explore.